Seawolf has officially landed in Seattle! 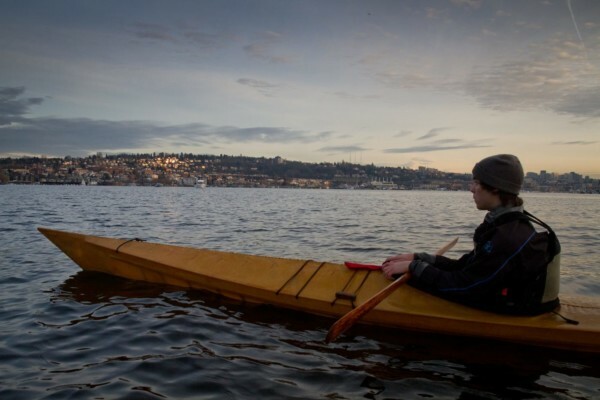 Yesterday I took out a few friends on Lake Union, an urban yet completely satisfying paddling destination. 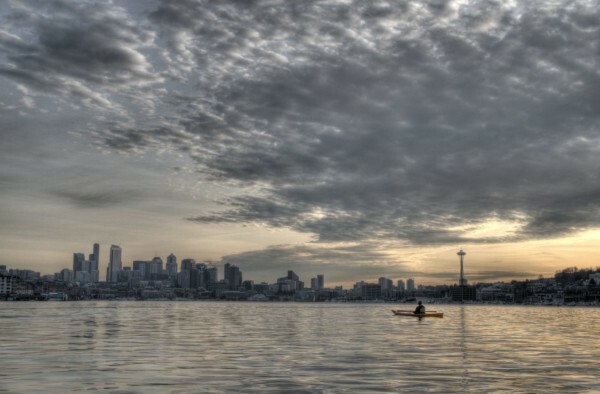 We had glassy waters, a sunset and were treated to an exquisite view of the Seattle skyline from the water. If you’d like to see some photos from our little jaunt, just minutes away from downtown, continue reading! I’ve included a map below so you can see a great launch point into Lake Union to see the skyline. At sunset the light is just behind downtown and it’s gorgeous. 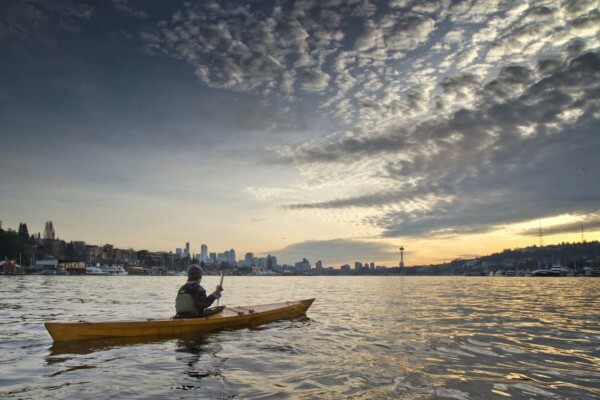 Gasworks Park, a landmark, is really thrilling to see in the good light as its rugged industrial feel really offsets the beautiful water and calmness of the paddling on the lake. It makes me want to run up to the top of the towers and photograph an an engagement or something like. This is one of the few unique places you can see the Space Needle silhouetted against the light. From most perspectives the needle is clustered in with all the big buildings. Standing on the hill at Gasworks you can see it clearly. One of the cool things about the hillside of Capitol hill is that in the setting sun it looks like a South American town. The reflections of the sunlight dapple back in golds, and all the buildings along the hill have an old stable feeling. Very cool Photographs. 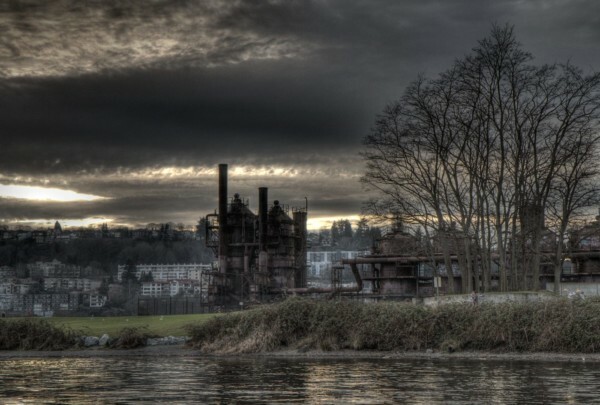 The one of the Gas Works is art! Such a neat shot.